Join Thomas M. Evans, Ph.D. in Laredo, Houston and McAllen! UIW Alumni & Parent Relations invite you to a reception with UIW's 10th President, Thomas M. Evans, PhD. 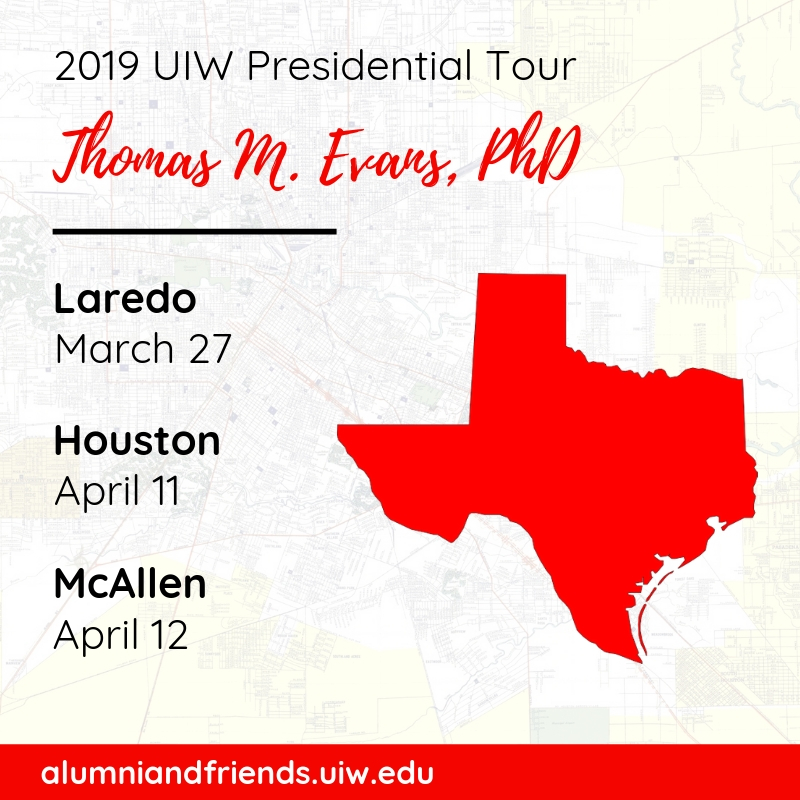 Presidential Receptions are an opportunity to spend an evening with President Evans, hear the latest news about UIW and meet fellow alumni and parents of current students in your area. RSVP below for your city! We look forward to meeting you there. Save the Date for our Laredo trip on March 27! Save the Date for our Houston trip on April 11! Save the Date for our McAllen trip on April 12!